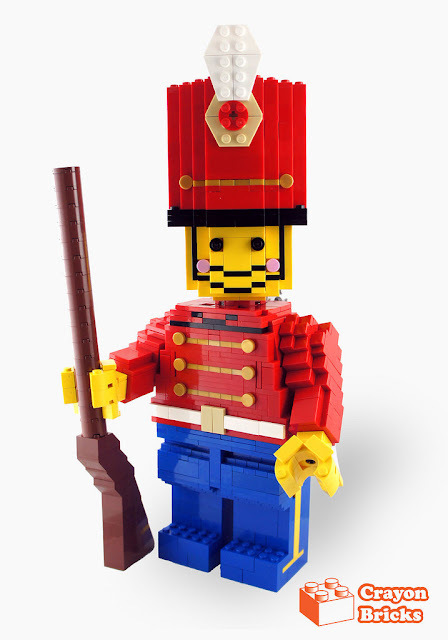 This huge 6 x scale toy soldier minifigure is shared by Crayonbricks. 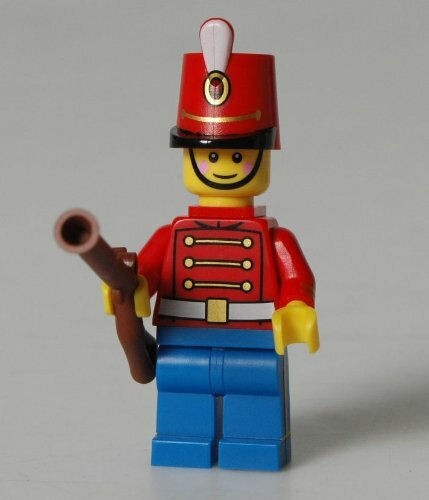 The original toy soldier minifigure was an exclusive figure from the LEGO Minifigures: Character Encyclopedia from 2013. The creator of this figure managed to rebuild all the details of the figure including the prints on the torso, head and even the stripes on the sides of the legs. Crayonbricks shared other minifigures at this scale in the past including Batman, blue classic spaceman, piggy guy and chicken guy.